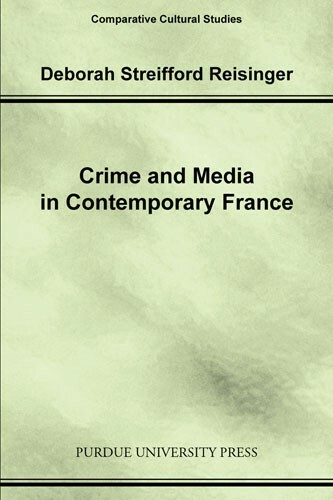 This book examines contemporary French society's relationship with violence in an era of increased media dominance. The study's innovative and interdisciplinary approach integrates media, cinema, and literary studies to analyze how crime news (faits divers) function as a site of discursive struggle. Reisinger focuses on the sensational Paulin and Succo affairs that became mobile signifiers about crime, insecurity, and the Other in France in the 1980s. By situating these crime stories in a larger historical and political context, she analyzes how media and politicians use the crime story as a tool for upholding dominant ideology. Yet, rather than conclude that the crime story has become an absolute banality, as Jean Baudrillard has maintained, Reisinger shows how these crime stories attest to the public's renewed fascination with violence. Her analysis of the artistic rewritings of these stories reveal alternative, complex readings of the fait divers that subvert the media's sensationalized discourse on crime effectively. 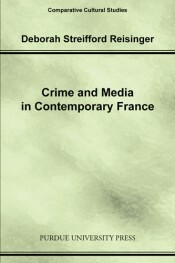 Through an analysis of the complex processes of production, reception, and re-articulation that contribute to the representation of crime in media and on the stage, the study concludes that the fait divers is an important location of social and political resistance for readers and artists alike in contemporary France. Deb Reisinger received her Ph.D. from the University of North Carolina at Chapel Hill in Twentieth-century French Literature and Cultural Studies. She has published articles on contemporary culture and the pedagogical applications of technology. Her current research examines the criminalization of popular culture. She is a Visiting Assistant Professor at Duke University in North Carolina.